This decal shines above all the rest! It looks great on glass blocks, windows, walls, in office spaces and every place in between! You can even put them on car windows! 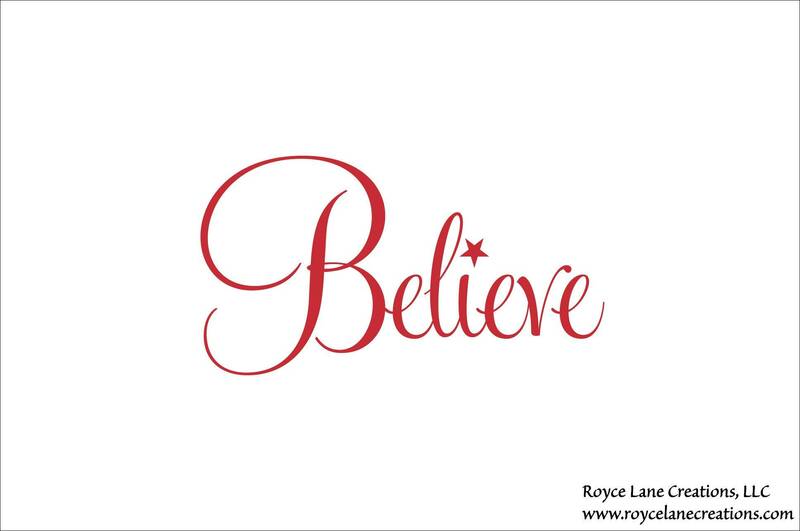 This decal is perfect for the holidays or anytime of year. A perfect DIY idea! Apply the decal to a glass black, add a string of lights, and create a beautiful decoration! 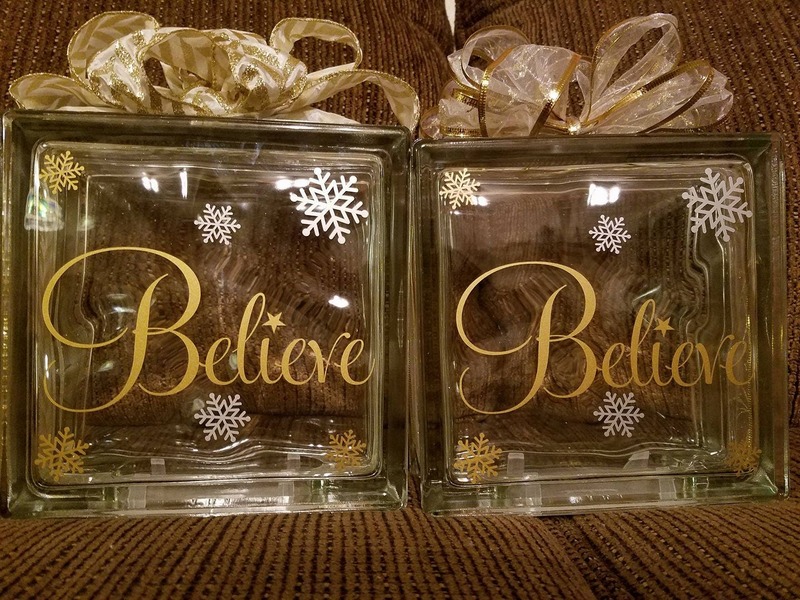 IF YOU WOULD LIKE TO PURCHASE SNOWFLAKES WITH YOUR BELIEVE DECAL, PLEASE CONTACT ME PRIOR TO ORDERING. THIS LISTING IS FOR THE BELEIVE DECAL ONLY. THE SNOWFLAKES, GLASS BLOCK, BOW, AND STRING LIGHTS DO NOT COME WITH THIS ORDER. THEY ARE JUST TO SHOW YOU AN EXAMPLE OF HOW THE DECAL CAN BE USED. Our decals are easy to apply, and when you are done with them, simply peel them off the surface! 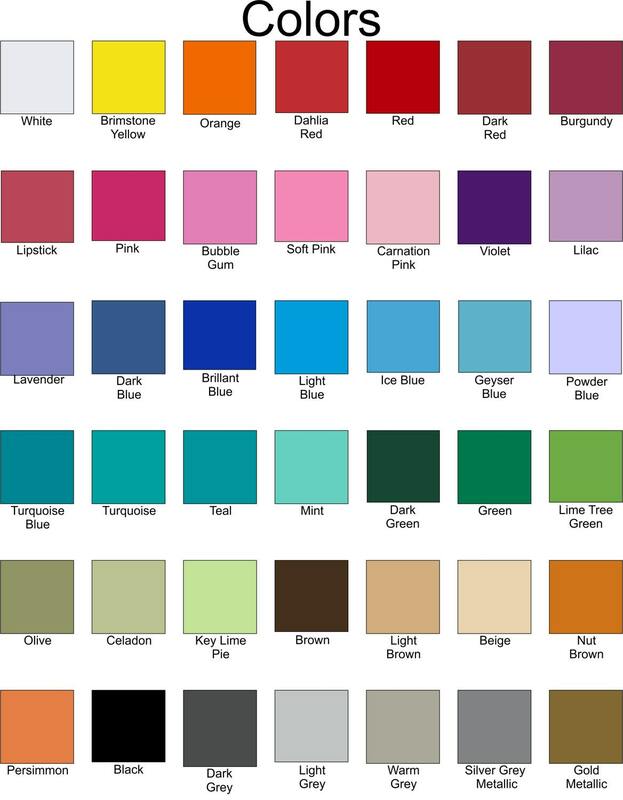 It is available in many sizes and any color from our color chart shown in the 2nd photo. It will be made with a single color of your choice. Please note that decal is the text only. The decal is shown on a red background for display purposes only. If you would prefer the decal to have a dot crossing the "i" instead of the star, please just make that notation in the notes to seller box during the checkout process. If no preference is noted the decal will have a star above the "i." • Our decals are removable, not reusable, will not damage walls. No photo... I'm sending them out in a Christmas card! They are perfect!